On a global level, mountains are the world's largest repositories of biological diversity. Mountain regions are characterized by the presence of cold waters, many of which harbour fish and support largely subsistence fisheries. India has significant coldwater/hill fishery resources in terms of gene pool and some of them being suitable for food, sport and ornamental value extending from north western to north-eastern Himalayan region and some parts of Western Ghats, encompassing about twelve states. The Coldwater natural resources includes around 8243 km long streams and rivers, 20500 ha natural lakes, 50000 ha of reservoirs both natural and manmade and 2500 ha brackish water lakes at high altitude. This diverse natural resource-base, wide climatic diversity visà- vis altitude are conducive to conserve and rear different fish species, developing domestic market for high value fish and growing interest of people aquarium pet keeping and eco-tourism including angling in different altitudinal regions of the country. The present exploitation of fishery resources in upland regions comes mainly in the form of capture fisheries serving as subsistence fishery, though fish production through culture practices is gaining momentum. At present the total fish production from upland areas contributes about 3% of total inland fish production of India. The low contribution to the total fish production is attributable to several constraints such as low productivity of upland waters, comparatively slow growth rate in majority of fish species, low fecundity and poor landing and marketing facility. The Directorate of Coldwater Fisheries Research (DCFR) being a national organization catering the research and development need of the upland waters has achieved manifold success in the management of fish genetic diversity and establishment of aquaculture in the hill regions of India. DCFR has also developed technology of economically viable coldwater fish species such as mahseer, snow trout, minor carps and even trout for enhancing production and productivity which has a positive impact on the employment generation and sustainable management of the aquatic resources and their piscine fauna of the hill region. This review generated information on the aquatic environment, culture, breeding, captive management, propagation, nutrition, genetics and disease of important fish species of hill region in India. The Indian Himalayan region spreading between 21 o 57' – 37 o 5' N latitudes and 72 o 40' – 97 o 25' E longitudes with 250- 300 km across stretches over 2,500 km from Jammu and Kashmir in the west to Arunachal Pradesh in the east. These mountainous region covering partially or fully twelve states of India, viz., Jammu & Kashmir, Himachal Pradesh, Uttaranchal, Sikkim, Arunachal Pradesh, Nagaland, Manipur, Mizoram, Tripura, Meghalaya and hills of Assam and West Bengal. The region has a total geographical area of about 5,33,604 km2 being inhabited by 3,96,28,311 people, representing about 16.2% of total area and 3.86% of total population of India, respectively. The region is vast, uneven and versatile inhabiting rich biological floral and faunal diversity. These areas are broadly divided into eastern Himalaya, central Himalaya and western Himalaya, each of these having different physiography and faunal diversity. Topographically Himalayas from South to North is divided into four parallel & longitudinal mountain belts (Table 1). 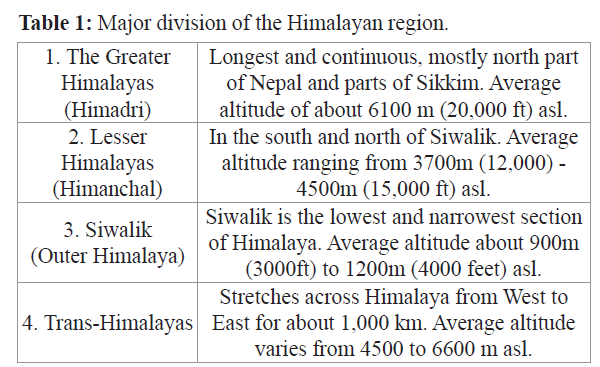 Table 1: Major division of the Himalayan region. The agro-climatic zones in the Indian Himalayan region is based on the altitudinal gradient, which are broadly classified as warm sub-tropical (<800m) to arctic zone (>3,600m). The Indian Himalayan region has vast fresh water resources primarily in its streams, rivers, lakes and glaciers. The region yields about 500 cm3 water every year. Fluctuations in snow and ice cover are responsible for climate and hydrological variation to a great extent. The Himalayan region is drained by 19 major rivers. The main river systems draining the Himalayan region are the Indus, the Ganges, and the Brahmaputra. The Indus and the Brahmaputra are the longest, each having a mountain catchment of about 160,000 km2. Five belong to the Indus system, of which the Beas and the Sutlej have a total catchment area of 80,000 km2; nine (Ganga, Yamuna, Ram Ganga, Kali-Sharda, Karnali, Rapti, Gandak, Bhagmati and Kosi) belong to the Ganga system, draining nearly 150,000 km2; and three (Tista, Raidak and Manas) belong to the Brahmaputra system, draining another 110,000 km2. Most of these rivers flow in deep valleys until they exit the mountains (Sehgal, 1999). There are numbers of lakes situated in the mid and high altitudes of Himalayan regions. These lakes have diverse origin such as retreat of glaciers, landslides and tectonic movements. The sizes of these lakes also vary as some are of large area while others have small. In the Great Himalayan and Trans-Himalayan region lakes are present at high altitude, with the highest lake situated at 5297 m a.s.l. Jana (1998) lists 13 lakes situated from 3400 m to 5297 m, some of them being brackish or saline. Freshwater lakes in Kashmir Valley are believed to have originated as oxbow lakes of the Jhelum River (Raina, 1999). Large lakes having 15,300 ha of surface area are located at middle altitude (1537 to 1587 m) in the State of Jammu and Kashmir while Kumaon lakes situated (1237 to 1930 m asl) in the state of Uttarakhand are much smaller, with the largest only 72 ha. In Himachal Pradesh Coldwater lakes are situated between 1306 and 4815 m asl. In Arunachal Pradesh over 14 high altitude (1300 to 22500 ft) lakes such as Pangang tang tso, Chochong, barmusa klemta, Thapyumche have been studied for its physico-chemical parameters and the important fish diversity. Parwati lake (4512 m above msl), Kuti Yangti river (3845 m above msl) and Kali river at Gungi (3223 m above msl) in Pithoragarh district of Uttarakhand were identified as potential sites for developing fisheries and aquaculture activities. The water bodies of the Himalayan region inhabit diverse kind of fish fauna. Out of total fish fauna available in India 17% fishes were documented from the mountain ecosystem establishing the status of the area as a center of origin and evolution of biotic forms (Ghosh, 1997). The vast mountain fishery resources of India inhabits around 258 fish species distributed in the Himalayan and peninsular region of the country of which indigenous mahseer, snow trout, exotic trout and common carp are commercially important (Singh et al, 2014). About 36 species of freshwater fishes (out of 1,300) are endemic to the Himalayan region (Ghosh, 1997). For the whole Himalayas, 218 species are listed (Menon, 1962). The distribution of fish species in the Himalayan streams depends on the flow rate, nature of substratum, water temperature and the availability of food. The species distribution in the upper reaches of the stream/ river where water has a torrential flow is different from the mid and lower reaches of the stream where flow is moderate and water current is soft. A number of fish species such as Noemacheilus gracilis, N. stoliczkae, Glyptosternum reticulatum, Diptychus maculates, Noemacheilus spp., Schizothoraichthys esocinus, S. progastus, Schizothorax richardsonii, Schizopygopsis stoliczkae, Garra gotyla, Crossocheilus diplochilus, Labeo dero and L. dyocheilus are found distributed in the different reaches of the river. The eastern Himalaya drained by the Brahmaputra has a greater diversity of Coldwater fish than the western Himalayan drainage. Among all these species a few supports the capture fishery while some are being cultivated in the farm condition at different altitudes based on their temperature tolerances (Table 2). Table 2: Important fish species of coldwater region. The present exploitation of fishery resources in upland regions comes mainly from capture fisheries, though fish production through culture practices is gaining momentum. Fish production in hill region is confined to inland waters such as river streams, lakes and reservoirs. Data generated on the catch per unit efforts (CPUE) indicated low catch ranging from 200g to 1900g per hour for the middle and lower altitudes. Several constraints such as low productivity of upland waters, comparatively slow growth rate in almost all fish species, low fecundity in fishes and poor landing and marketing facility have been seen as major obstacles in the rapid development and expansion of coldwater fish production. Culture of coldwater fish in the Indian Himalayas has largely concentrated on the production of stocking material for rivers and streams, and some lakes. Until recently, carps, mahseer, snow trout, brown and rainbow trout dominated the fish cultured for fish seed production, and to a much lesser extent for table fish production. Today, the available technologies allow the culture of a number of exotic and indigenous coldwater fish species in the Indian Himalayas. The most common exotic species are rainbow trout, brown trout, carp, and the indigenous fish mahseers (Tor putitora and Tor tor), and schizothoracines (Schizothoraichthys esocinus, S. progastus, Schizothorax richardsonii, S. niger and S. curvifrons). Among these Tor putitora, S. progastus and S. richardsonii are preferred fishery because of their wide range of distribution in the Himalayas. Mahseers (Tor spp.) of the family Cyprinidae are regarded as one of the best sport fish and also a sought-after food fish. In the Indian Himalayas, due to man-caused deterioration of the environment and overfishing, mahseer stocks have sharply declined. Owing to its endangered status, mahseer conservation has become utmost priority for enhancing its natural population in the streams and rivers of Himalayas. Earlier seed of mahseer was collected from natural sources but recently seed has been produced through artificial propagation. DCFR (erstwhile NRCCWF) has made commendable efforts in artificial propagation of golden mahseer. The brood stock obtained from natural grounds in rivers, lakes and reservoirs are stripped of their eggs and milt and fertilized eggs are incubated in specially developed flow through hatchery. Recently DCFR has made tremendous success in brood stock management of golden and chocolate mahseer in pond environment and seed has been produced from the pond-raised brooders. However, the maturation of brooders still poses a challenge which has been given due attention under research and development programme. The use of regular flow-through hatching troughs and trays and rearing units at the DCFR produces some of the stocking material for the Central Himalaya. The use of formulated diets to raise fry and fingerlings of Tor putitora in plastic pools and net cages anchored in Lake Bhimtal using dry formulated feeds containing 33.5 and 40.8% crude protein. Presently, chocolate mahseer Neolissocheilus hexagonolepis and golden mahseer Tor putitora are bred on a small scale in Bhimtal (Uttarakhand), producing over 70,000 fingerlings annually. There is a programme for the development of mahseer fishery in the Kumaon lakes Bhimtal, Sattal and Naukuchiatal, and mahseer fingerlings are also needed for the rehabilitation of stocks in the rivers Yamuna, Nayar, Kosi, Saryu and Ganga (at Rishikesh and Hardwar (Singh and Akhtar, 2015). Comparative assessment of the maturity status of captive reared and matured wild golden mahseer (Tor putitora) was carried out to decipher the possible constraints in maturation under captive conditions. Ovarian histology showed compact yolk globules and denser granulosa and thecal cells in the oocyte of wild caught fish as compared to pond reared females. Likewise, a relatively lower level of serum estradiol was observed in captive reared females of golden mahseer. Further, oxidative stress was found to be more prevalent in captive reared mahseer. Catches of snow trout have been reported to the tune of 67- 74% from north-western Himalayas; 59-67% from Uttaranchal Himalayan streams/rivers, however, by and large their overall size frequency have gone down by 10-20% over the years (Sunder, 2005). Besides indiscriminate killing, destructive fishing methods and ecological degradation the inherent biological factors of low fecundity and long hatching period have further added its decline in the natural streams. Various in-situ and ex-situ conservation efforts have been identified based on the resource assessment of Schizothoracine. The most pragmatic approach as suggested by fishery experts is the captive breeding of snow trout. Trials were made at different times for induced breeding and artificial fertilization of different species such as S. planifrons, S. curvifrons and S. plagiostomus, S. niger and S. esocinus with limited success (Sehgal, 1999). Although some success have been achieved in artificial propagation of snow trout species such as S. richardsonii (Vass, 2012) and S. niger (Najar et al., 2014), in the recent past, the culture of schizothoracines is still in its experimental stage. There is still work to be done on schizothoracine seed production to achieve a fully viable fingerling stage ready for release into rivers and lakes. In the upland waters, Chinese carps are commonly cultured in the mid-Himalayan region as the candidate species for polyculture. The culture of Chinese carps were introduced in the polytanks/ irrigation tanks in the mid altitude regions. The technology developed by us provided opportunities for conservation of water for irrigation and fish culture. The use of polytanks has shown enhanced growth of fish. Around 76 farmers in the Champawat and Almora districts of Uttarakhand have already adopted the technology. Recently, DCFR imported improved Hungarian strain of scale carp and mirror carp and the farm raised improved strain of common carp was propagated for aquaculture promotion in hill states which gave very promising results having 35-40% better growth over the existing old stock of introduced common carp (Singh and Lakra, 2011). Further, endemic cyprinid Labeo dyocheilus and Labeo dero were also attempted for developing breeding technology in captivity which was successful opening new avenues of endemic species culture for aquaculture diversification. Further, our efforts to diversify aquaculture activities, artificial breeding of Chagunius chagunio, an indigenous cyprinid fish that commands good market price and high consumer preference was also carried out for the first time. The fish was observed to be a batch spawner with peak breeding season in May and September. It attains sexual maturity at the age of 3 years, when it measures 15-20 cm and weighs 100-125 g. The relative fecundity was found to be 25000-30000 eggs/kg body weight. The breeding protocol is being further refined and developed. The Indian hill trout, Barilius bendelisis, another indigenous cyprinid identified as a potential candidate for aquaculture and ornamental trade was also successfully bred for the first time. Spawning was induced by intraperitoneal administration of ovatide to female (0.6 ml/kg) and male (0.3 ml/kg) mature brooders. The fertilization rate was estimated to be 55-60 %. The larvae hatched out in 130-140 hrs at 15-20oC. Development of other minor endemic carps such as Semiplotus semiplotus broodstock and culture of Bangana devdevi ( earlier known as Labeo devdevi) and Osteobrama belangeri in composite ponds are also being carried out under collaborative mode. A brood bank facility for Semiplotus has been set up at Jasingfa aqua-tourism centre, Nagaon, Assam. Culture of rainbow trout (Oncorhynchus mykiss and brown trout (Salmo trutta fario) in the hill states have been considered as the promising species for mountain fisheries development in India. Today, farming of trout is being carried out on several fish farms in Kashmir, Himachal Pradesh, Uttarakhand, Arunachal Pradesh and Sikkim. The siting of these aquaculture facilities was based on the availability of water in required quantity and quality, i.e. from rheocrene springs and snow-melt/glacier-fed streams. Most farms receive water supply from snow-melt/glacier-fed streams. A total of 30 trout hatcheries with an estimated eyed ova production capacity of 13 million are present in the country which have been mostly established by the various state governments and also with the assistance of central government schemes. The state of Jammu & Kashmir and Himachal Pradesh are forerunner in promoting rainbow trout farming in private sector. The highest trout producer state in India is Jammu & Kashmir with a table size trout production of 260 MT and 8 million trout ova production. The Himachal Pradesh is second highest producer (168 MT) in the country. DCFR is further expanding trout culture activities in Leh- Laddak, J&K and also in Dharchula & Munsiyari, high reaches of Uttarakhand. Seed production of trout is mainly in the states of J&K, Himachal Pradesh, and Uttarakhand in central Himalaya. However, with the DCFR's tiring efforts seed production of trout has further been extended in Sikkim and of late in Arunachal Pradesh. At present the trout production in the country is over 700 tonnes. Mahseer species both chocolate and golden mahseer have been attempted to grow and thrive well in pond condition. It accepts artificial feed developed by DCFR. There is no competition for food and space while culturing these species together. The breeding and larval rearing technology has been successfully carried-out in captive environment. The species is also being propagated in “Jhora Fisheries Pond” at Kalimpong, West Bengal along with grass carp for aquaculture. There is a vast scope and potential in improving fish production in hills by bringing natural Himalayan lakes located at different altitudes, under scientific management for fishery enhancement. This would actually reduce the gap between actual fish yield and production potentials. Through application of modern techniques, significant scope exists for promoting trout farming, which in long run, will have both domestic and export demand. There is also a great potential for sport fishery development and ecotourism in hill regions. Use of modern techniques such as molecular and biotechnological intervention, selective breeding programme for improvement of strains both of exotic and indigenous species, coldwater fish health management for the containment of diseases have now become imperative. Providing decision support system using GIS and remote sensing would be helpful not only for resource assessment but also for aquaculture development in the hills. Ornamental fish culture for small scale enterprises in the hills can provide an alternative source of employment. Presently DCFR has different available technologies for the hill aquaculture, resource management and conservation. Three ponged fish farming has been standardized and also disseminated to the farmers of different hill states of the country. Chinese carp based polyculture technology has been popularized and also adopted by farmers in Arunachal Pradesh, Manipur and Uttarakhand. Trout farming and seed production technology has also been introduced in the state of Sikkim and Arunachal Pradesh. Aquaculture diversification is the key of fish production enhancement in the hill states and also one of the most important needs of the hour. DCFR has already initiated programmes in this direction with the culture and breeding of Semiplotus semiplotus and Neolissochilus hexagonolepis. To augment fish production from hilly areas two improved strains of Common carp from Hungary has been imported and introduced into the culture system. Aquaculture potential site selection using geo-informatics has been developed for sustainable utilization of available resources. For the rehabilitation and stock enhancement of Himalayan mahseer, conservation programme such as breeding and subsequent ranching of seed has already been taken up (Singh and Akhtar, 2015). Technology developed for the culture, breeding and management of the economically viable fishes suitable for mid Himalayan region has a positive impact on the employment generation in these regions since the technology was taken as hot cake among the farmers in some areas of the hills. There is great scope for disseminating these developed promising technologies in sub to mid Himalayan belt in order to upgrade the socio-economic conditions of the inhabitants. About 16 species of mahseer have been recorded while ecology and natural spawning of few species such as Tor putitota, T. tor, T. khudree, Neolissochilus hexagonalepis have been documented. In view of threats to wild population of mahseer and the increasing demand for these species for sports as well as food fish (capture fishery and aquaculture), there has been concerted effort to propagate selected species artificially for conservation and aquaculture purposes using wild stock, captive, pond reared brood stock. To replenish the fish diversity, the directorate has taken programmes on priority by ranching seed in the selected water bodies. Artificial propagation & seed production from the stocks raised in the farm conditions are standardized (Singh and Akhtar, 2015). But the current level of aquaculture technology needs to be refined for raising commercial stocks of indigenous fish species in hills. Using 15 polymorphic microsatellite loci, different stocks of farmed rainbow trout from Dachigam (Western Himalaya); Bairangana, Champawat and Patlikul (Central Himalaya); and Munnar (Nilgiri hills) were evaluated for allelic and genetic diversity. Moderate genetic differentiation was observed among stocks. Genetic clustering analysis demonstrated that stocks from Munnar and Dachigam formed separate clusters, whereas stocks from Bairangana, Champawat and Patlikul were grouped in another cluster indicating common origin (Barat et al. 2014). Using next generation sequencing (Illumina MiSeq platform) with 2x150 bp paired end read length in single channel, Kisspeptin 1 gene (involved in gonadal maturation) was identified in snow trout, Schizothorax richardsonii and golden mahseer, Tor putitora from their respective cDNA libraries (Goel et al. 2014; Sati et al. 2014). In snow trout, a cDNA sequence of kisspeptin 1 with 307 bp encoding 102 amino acids was obtained (GenBank accession no. KJ872500) and in golden mahseer, a partial mRNA sequence of kisspeptin 1 with 318 bp encoding 106 amino acid was obtained (GenBank no. KM504155). In a separate study, the complete coding region of kisspeptin 1 cDNA (508 bp) was generated from the brain of golden mahseer by conventional cloning and sequencing (GenBank no. KP710729). The kiss1 cDNA was found to contain a 330 bp open reading frame encoding 109 amino acids and showed high degree of conservation only in the kisspeptin-10 region (Kp-10). Based on this, a synthetic peptide of 16 amino acid (molecular weight: 1977.22) corresponding to T. putitora Kp-10 region was synthesized using Fmoc chemistry, purified by semi-preparative RP-HPLC and confirmed by MALDI-MS. This peptide will be used for evaluating the stimulatory effect of exogenous kisspeptin administration in gonadal development of fish. Sustained efforts are required in the areas of nutrition, growth enhancement and genetic improvement using modern biotechnology tools. For health management, surveillance of coldwater fish diseases was periodically carried out in 27 fish farms across Himachal Pradesh, under the National Surveillance Programme on Aquatic Animal Diseases (NSPAAD). 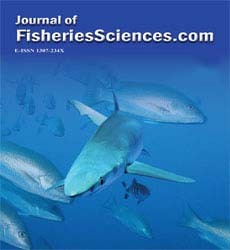 1520 tissue samples were collected from morbid fish and were investigated for the presence of infectious pancreatic necrosis virus and viral haemorrhagic septicaemia virus by RT-PCR using the positive controls that was previously developed. So far, none of the samples tested were positive. Moreover, when randomly selected 19 samples were inoculated in cultured fish cells namely, CHSE-214 and BF2 cells, no cytopathic effect was observed, further suggesting the absence of the said viruses in the farms surveyed (Pandey et al 2012). Ten isolates of Chryseobacterium were recovered from diseased gills of golden mahseer (collected from Bhimtal lake) showing clinical symptoms of bacterial gill disease. One isolate was identified as Chryseobacterium scophthalmum (GenBank accession no. KM822770), a Gram negative, short rod shaped bacteria that form yellow colonies in Shieh medium supplemented with Tobramycin. Out of 55 tested antibiotics, it was found to be resistant to 17. Detailed study of its prevalence, virulence and patho-physiology is presently being carried out. Rainbow trout farms in Himachal Pradesh and Uttarakhand were screened for potential bacterial pathogens. Bacterial profiles of tissue samples from diseased trout were identified by phylotyping. Four strains of Lactococcus garvieae (GenBank no: KM 604701, KM 604702, KM 604703 and KM 604704) were recovered from diseased rainbow trout showing typical symptoms of lactococcosis. The climate change is a worldwide phenomenon. It refers to any significant change in climate through temperature and rainfall pattern etc. for an extended period of decades or longer, as a result of natural processes and anthropogenic activities. As global warming continues to increase the atmospheric temperature, it will lead to a continuous shift of zero temperature line (snow line) towards higher altitudes. Climate change is affecting Coldwater resources and their fisheries through its impact on flow regimes of streams, phenological changes, food chain, micro habitats and overall productivity. The changed eco-climatic conditions would adversely impact the pristine feeding and breeding grounds of the native coldwater fish species their population, maturity condition and spawning and related vital life cycle phenomenon. There is a need of introduction of large scale farming to bring the mountain fishery and aquaculture in India on international scenario. Coldwater fisheries for livelihood and industry are the two modern concepts aiming at providing sufficient fish locally at cheaper price as nutritional security and to export the fish and fishery products to earn the foreign currency. Resource assessment in the hill region is a challenge due to its kaleidoscopic topography and information available on water resources are old. For effective planning of the resources, DCFR is updating the information on fisheries resources in the hills through geoinformatics. 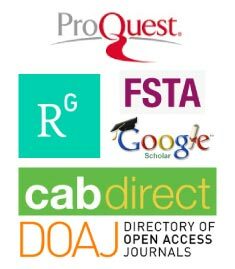 This database will be repository for the country and will be very much needed to develop scientific management action plan for fishery development (Singh et al. 2014). Fish sale in the fresh condition is also a bottleneck in development of coldwater fisheries, since the many ponds are not approachable to the market. In these circumstances the farmers either forced to consume the production by themselves or to sell on cheaper prices at far. Being a perishable item transportation of the fresh fish is very difficult. There is a need of introduction of value addition techniques to their catches/ production in order to get higher returns. These would not only preserve their products but also would increase the net profit. 1) Resource mapping of the fishery resources in mountain/ hill region needs to be taken up on priority basis for the integrated development of the coldwater sector. 2) In order to develop the riverine and lacustrine fisheries, stock enhancement programme through ranching being conducted. 3) A legal framework has to be formulated to stop all types of destructive fishing method. 4) The breeding grounds of the fish need special protection by declaring them as ‘No-fishing Zone’ or ‘Protected Area’. 5) A balanced strategy for lakes, for tourism and fishery development is attempted. 6) Development of sport/recreational fishery for tourism and employment generation. 7) Education, training and extension support to the hill communities for resource conservation and sustainable utilization. 8) Promoting awareness on sustainable use of mountain natural resources and conservation of biological diversity for maintaining mountain ecosystems. The aquatic resources in hills are quite valuable for the development of fishery both for food, sport, recreation and employment but scientific management of these resources is necessary to achieve the objectives. In order to manage these ecosystems, it is necessary to take up appropriate strategic plans and action so that hill aquatic resources and aquaculture activities may contribute to fishery and aquaculture substantially in remote hilly regions on a sustainable basis. The mountain fish resources and their promotion for better aquaculture and fisheries are of great relevance in the national context for which different technological approach and support services have been carried out. Such resources along with our endeavour to promote them have to be properly utilized on sustainable basis for increasing fish production for national basket and rural upliftment in hills. Barat Ashoktaru, Prabhati K Sahoo, Rohit Kumar, Javaid I Mir, Shahnawaz Ali, Rabindar S Patiyal and Atul K Singh (2014). Molecular characterization of rainbow trout, Oncorhynchusmykiss(Walbaum, 1972) stocks in India .Journal of GeneticsVol 94 Online Resources. Ghosh, A.K (1997) Himalayan fauna with special reference to endangered and endemic species.In: Himalayan Biodiversity: Action plan (ed. U. Dhar). GB Pant Institute of Himalayan Environment & Development, Kosi-Katarmal, Almora, pp. 53-59. Hasnain, S.I (1999) Himalayan glaciers – Hydrology and hydrochemistry.Allied Publishers, New Delhi, pp 234. Jana, B.B. 1998. State-of-the-art of lakes in India: an overview. Arch. Hydrobiol. Suppl. 121/1, Monogr.Stud., p.1-89. Jhingran, V.G. and Sehgal K.L.,(1978).Coldwater fisheries of India.Inland Fish. Soc. India., 239 pp. Joshi, C.B., (1988). Induced breeding of golden mahseer, Tor putitora (Ham).J. Inland Fish. Soc. India., 20(1): 66-67. Menon, A.G.K.,(1962). A distributional list of fishes of the Himalayas.J. Zool. Soc. India, 14(1 and 2): 23-32. Nandy, S.N, Dhyani, P.P and Samal, P.K.,(2006). Resource information database of the Indian Himalayas.ENVIS Monograph 3, G.B. Pant Institute of Himalayan Environment and Development, Kosi-Katarmal, Almorah.123 p.
Najar, A.M., Bhat, F.A., Balkhi, M.H., Samoon, M.H., Dar, S., Wani, G.B., (2014).Induced breeding and larval rearing of snow trout (SchizothoraxnigerHeckel) in Kashmir Himalaya with the application of ovatide. Fisheries Technology, 51 (1):8-12. Pandey, A., Mallik, S.K., Chandra, S and Pandey, N.N.,(2012). Coldwater fish disease in India: Status and Strategies. In: DebajitSarma, D., Pande, A., Chandra, S. and Gupta, S.K.,(Eds). DCFR Silver Jubilee Compendium on Coldwater Fisheries, pp. 83-88. Raina, H.S and Petr,T.,(1999). Coldwater fish and fisheries in the Indian Himalayas: lakes and reservoirs. In: Fish and fisheries at higher altitudes: Asia. FAO Fisheries technical paper no. 385 (Ed. Petr, T.) FAO, Rome. pp 64-88. Sehgal K.L.,(1999). Coldwater fish and fisheries in the Indian Himalayas: rivers and streams. In: Fish and fisheries at higher altitudes: Asia. FAO Fisheries technical paper no. 385 (Ed. Petr, T.) FAO, Rome. pp 41-63. Singh A.K. and Lakra, W.S.,(2011). Risk and benefit assessment of alien fish species of the aquaculture and aquarium trade into India.Reviews in Aquaculture 3, 3–18. Singh, A.K. and M.S.Akhtar (2015).Coldwater fish diversity of India and its sustainable development.Biodiversity for Sustainable development Editor-in-chief Pratibha Singh Published by UP Biodiversity Board, Lucknow. International Day for Biological Diversity on 22 May, 2015. pp. 97-105. Singh, A.K., Prem Kumar and S.Ali (2014).Ichthyofaunal Diversity of the Ganges River System in Central Himalayas, India: Conservation Status and Priorities. In: Sinha, R.K. and Ahmed, B.,(eds.) Rivers for Life - Proceedings of the International Symposium on River Biodiversity: Ganges-Brahmaputra-Meghna River System, Ecosystems for Life, A Bangladesh-India Initiative, IUCN, International Union for Conservation of Nature, pp. 208-214. ISBN:978-93-5196-807-8. Singh, B.N.,(2002). Status of coldwater fisheries development in India.In: Highland fisheries & aquatic resource management (ed. Vass, K.K and Raina, H.S.) NRCCWF.Goel, C., Sati, J., Barat, A., Patiyal, R., Ali, S. and Sahoo P.K., 2014. Complete Mitochondrial Genome organization of Schizothoraxrichardsonii (Gray, 1832). Mitochondrial DNA, 25(3): 171-172. (DOI:10.3109/19401736.2013.792061), 57-66 pp.